What has been NEW for me? July was filled with some exciting races across the USA!! It has been a few years since I’ve really focused on events in the USA at this portion of the season. So I’ve really tried to soak it all in.. 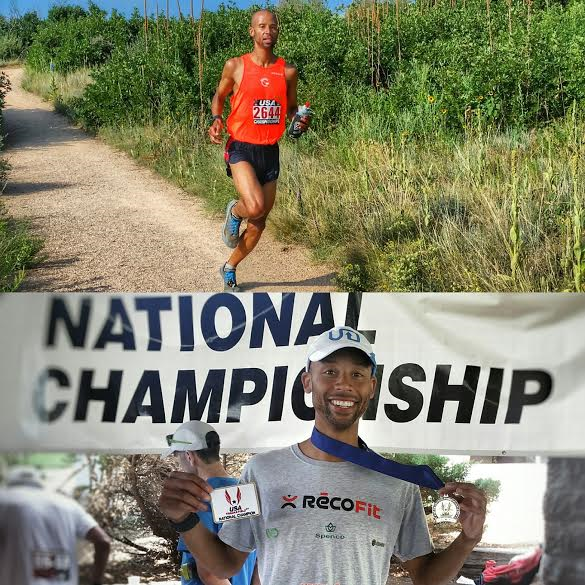 Early July: USA Mountain Running National Championships and World Team Qualifier! In 2014 Loon Mountain was the host for the National Championships and once again won the bid for 2016. I loved the course in 2014 not only because I was able to defend my title, but the course was a true uphill lovers’ challenge. The last grade averages a staggering 40+ percent!!! This segment is known as the Upper Walking Boss, or what I like to call it “The Dream Crusher”. 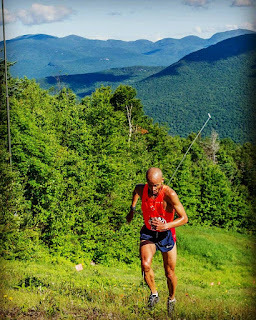 The early miles feature a choppy cross country section with some technical bits thrown in there, then a few long ascents with extremely steep grassy knolls as you’d expect from the great State of New Hampshire. In 2014 I was able to find another gear and grasp the lead late in the race and thankfully held on for the win as we crested the “The Boss”. This year was even sweeter! The Race directors Paul K and Chris D. added an incentive to really challenge yourself the WHOLE way. A prime was extended to the field for the fastest lady and fella up the Boss climb! First and foremost I wanted to make the USA World Mountain Team. I also wanted to again challenge one of my friends and numerous time Team USA teammate Eric Blake on the final climb to see who would end up getting the fastest! In 2014 we had to time ourselves to see who ended up with the quickest splits. This year they had timing mats so all we had to do was roll. Ironically Eric and I ended up finishing 1st and 2nd for the final climb separated by a meager 4 seconds. The big race unfolded in fashion. Top 6 make the World Team so guys were fighting from the gun. After the first 2 miles the field had already strung out with a few Olympic Trials Qualifiers for the Marathon already pushing the pace in the front 2 packs. I sat there in around 4-5th most of the early sections with the chase pack. The race was much more controlled than 2014. However, the middle section where the real climbing begins really heated up. It was a make or break type of situation and every athlete knew that they either had to stay with the pack or get dropped and swallowed by the hungry pack of wolves lurking. With the team in mind, the top 6 ran away from the field. I was able to run with 2 other athletes as we approached mile 4 with them right on my hip. No athlete in this field, at this point could be taken for granted. I have raced almost everyone in the top pack and I knew they all had long resumes along with race experience. So, the pace really picked up, which was very different from 2 years ago at this point. I was able to extend my lead a little as we approached the Boss and from there extended a tad bit more. Awaiting in excitement at the finish, to my surprise lots of new faces ended up making the team. I had doubts as to how some guys would fare on such a strong course, but after their performances, I can honestly say, Team USA has a very strong group of guys heading to Bulgaria for the World Mountain Running Championships!! 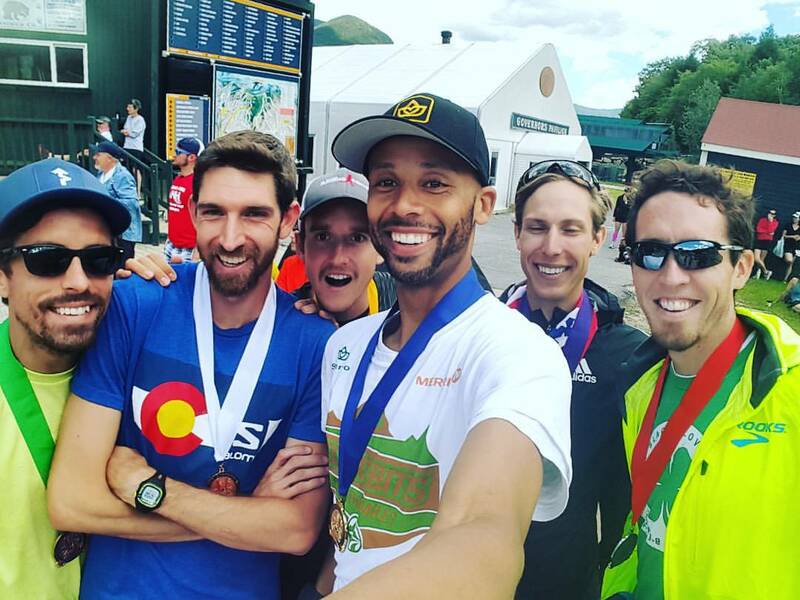 This marks a record 9 consecutive World Mountain Running Teams for me. Introducing Team USA for the World Championships! USA National Title #11 ???? 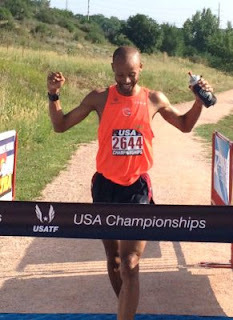 Yesterday: USA 30k Trail Running National Championships! The 30k Championships did not disappoint when it came to gorgeous views and demanding routes touring the Cheyenne trail system. The field was also as strong in this first year event put on by the amazing race organization family Mad Moose Events! On the start line stood various stellar local athletes mixed with a few stout newcomers, National Team Members and solid mountain specialists. This course was very mixed. 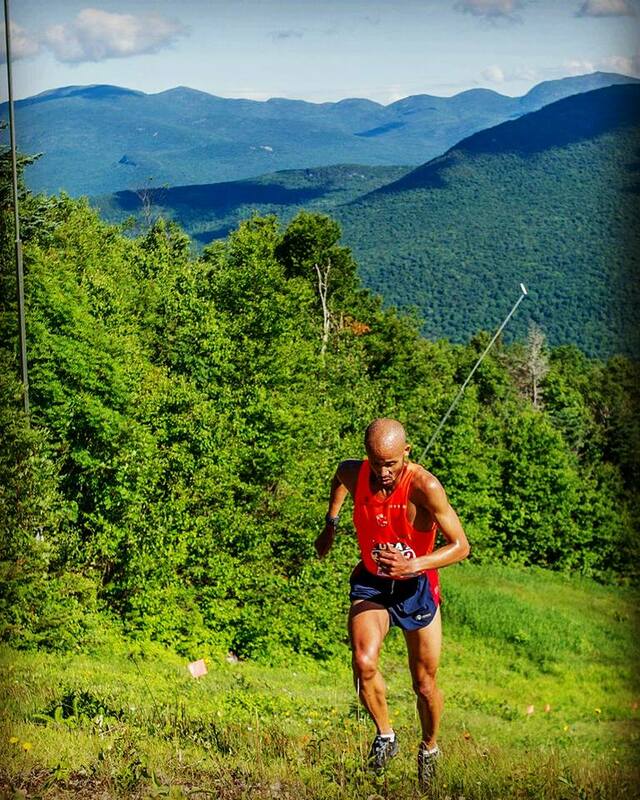 Featured many different terrains and steepness to challenge the diversity of each and every athlete. You could not come in and merely climb well, or just descend well, or even blaze the flats and expect to win this event or fair well. The course required the athletes to bounce and up and down over a long distance and high altitude to boot. Heading into the first climb apex, I had a 90 second lead or so on my soon to be teammate for the World Championships, Matt D. From the vantage I could see that he also had a gap on 3rd. The stage was set, the course was about to shift from steep up to downhill/flat sections for a few miles. After reaching the low point of the second half of the event I continued to lead and grow my lead from there to the peak once more before the final descent was to begin. I chose the Merrell Bare Access Ultra for this event. After the climb and the slick sections, I found that the shoe not only was light for the climb but also had great grip on rock and sufficient cushion for the pounding descent into Bear Creek! 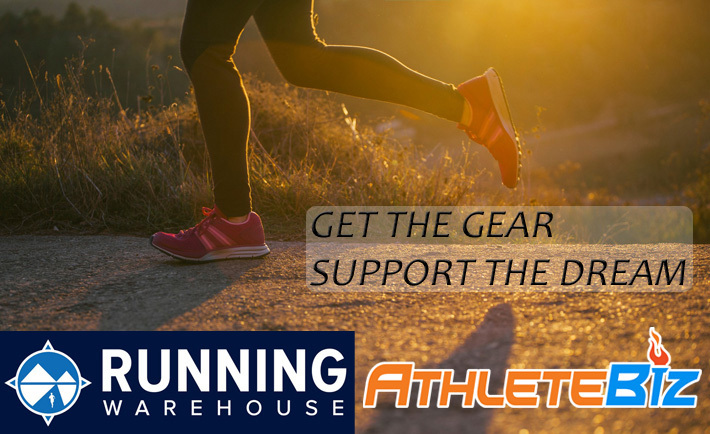 A great mixed terrain shoe. Even more exciting is Merrell has now released even better footwear for diverse courses such as this one! As we made the last approach into the high point of Bear Creek I had relaxed a bit. Then, I hear a cheer from afar and immediately fear struck me as I thought someone had reeled me in. Thankfully I found out it was an athlete running the 50 mile event…whewww. Another National Title, this time around even more special than any other. When I graduated from College I made a goal (At the time it seemed impossible) that during my professional athletic career I wanted to garner 11 National Championships. Attaining that goal in my home town in front of some of my biggest supporters and family was priceless to say the least. To have a long career there is no doubt that sponsorship plays a huge role. Some companies made huge sacrifices believing in me from the beginning and I want to thank them. Mio Global, Garden of life & Club Northwest were some of my first supporters and for that I am eternally grateful. Also, huge thank you to my current list of sponsors which can be found on my website! I would like to thank some of my new endorsements Merrell, Spenco, Electrobites and Recofit for taking a risk and believing in me as well! Gaining support isn’t easy as a professional athlete as many will tell you. Many companies are fickle and drop athletes for multiples reasons that don’t necessarily show their concern for the welfare of the athlete. Some companies have a vision that does not include the athlete long term. Some companies don’t even care about the athlete or their goals and merely want to use the athlete to promote what they desire rather than creating a mutual endorsement situation. Even more prevalent, the idea that there is no relationship between the athlete and the company they are to promote. Considering all of the possible negative aspects behind sponsorship I am enormously grateful to have landed with companies that have supported my endeavors and worked with me long term. These medals aren’t mine, theirs OURS! Shop Joseph’s store; any purchase supports his journey!